Xiaomi launches its first VR headset, the Mi VR Play. 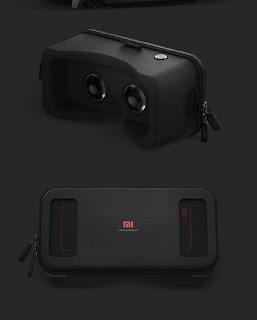 Xiaomi on Thursday announced the launch its first VR headset, the Mi VR Play. The Mi VR Play works with smartphones ranging from 4.7 to 5.7 inches. The phone is held by a pouch with a dual-zipper design instead of plastic clips. This offers more mounting security for the phone. Mi VR Play has dual openings at the front VR for you to adjust your smartphone's position. Mi VR Play adapts for most phones too! Anti-reflective, optical-grade aspheric lens provides maximum clarity and Textured metal button lets you control your smartphone easily. Anti-slip strips keep your smartphone secure and aligned with the lenses, no need to keep fiddling for the best possible view. It is offered in various colorful designs, you can even choose your favorite color or even a customized DIY design. Xiaomi also launched Mi VR Play app that provides wide variety of video resources and content. Latest film and videos could be found here ensuring you have a great time by using Xiaomi VR. The Mi VR Play app comes with a panoramic, 2D and 3D video library with updates. The Mi VR Play is currently under public testing in China.